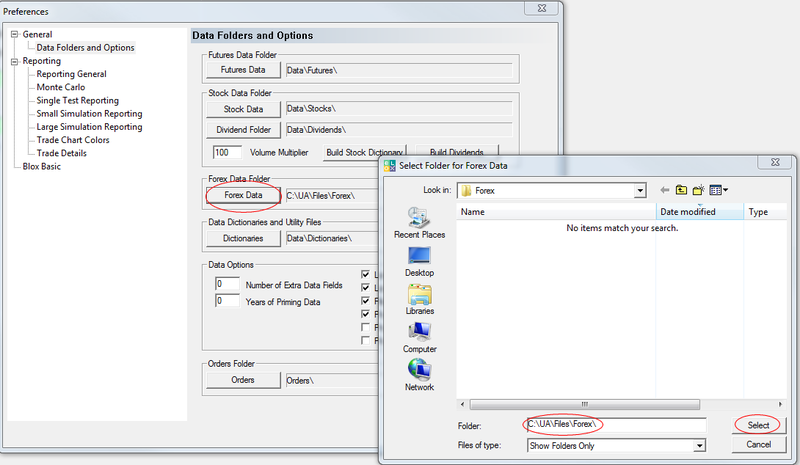 Setting up the Forex Data files to work with CSI is similar to the Futures and Stock setup process. 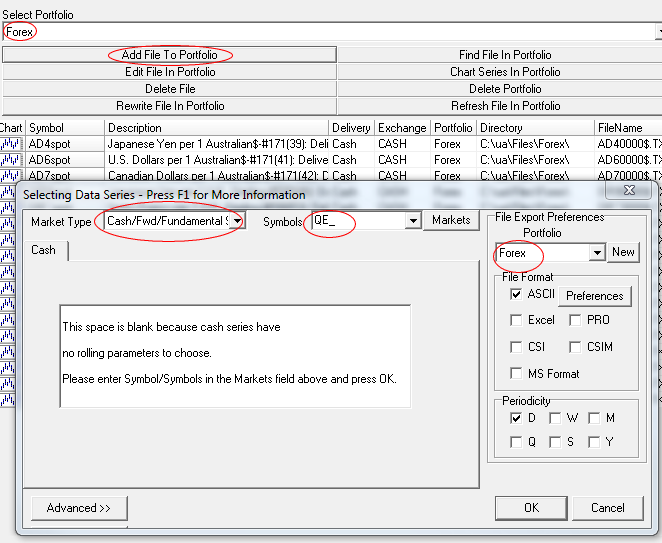 In Trading Blox Preferences, set the Forex Data Folder to the “C:\UA\Files\Forex” data folder. 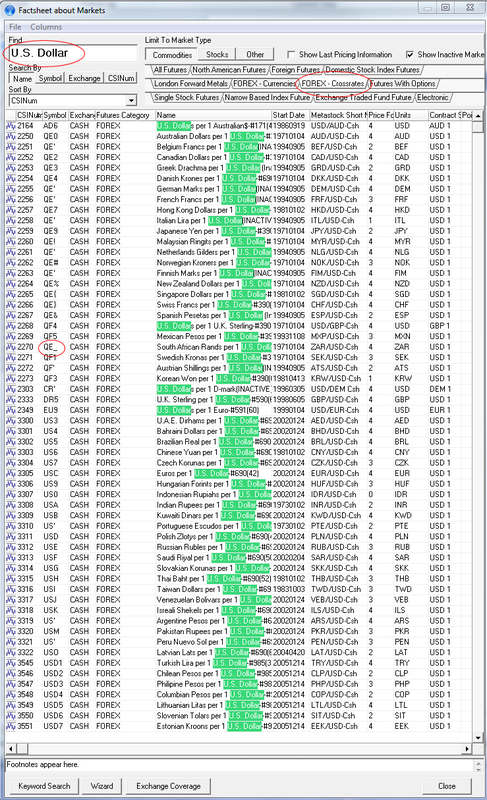 If you want to be able to compute the carry cost of forex trades, then copy all the Rates files from the default Trading Blox Forex Data Folder (C:\Trading Blox\Data\Forex) to the new UA Forex data folder (C:\UA\Files\Forex). 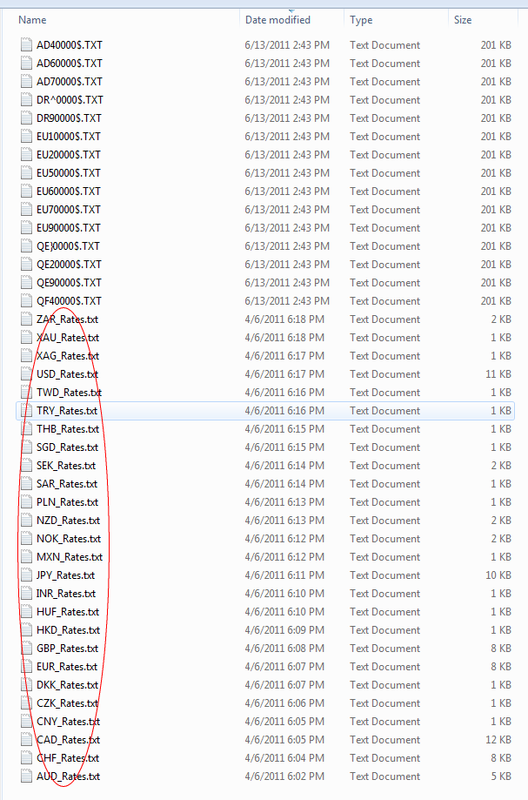 Note that these files need to be updated manually as required. 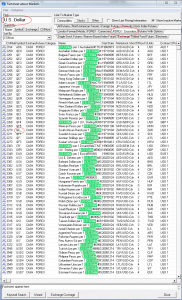 To add a new Forex market to Trading Blox, first add the market to the CSI Forex Portfolio Using Unfair Advantage. 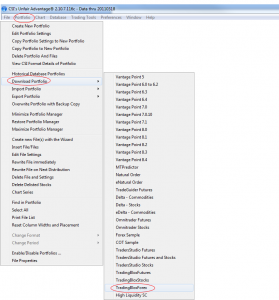 Once the market is added to the forex portfolio in CSI UA and the data file has been created, add the market to the Trading Blox Forex Dictionary. 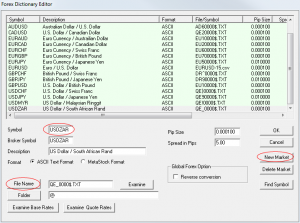 Create or update the Rates files for each currency as necessary. Now the market will be available to add to a Trading Blox Portfolio and use for testing. 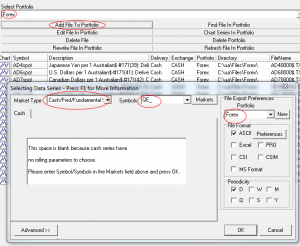 Now use the Factsheet to determine the symbol of the market you want to add. 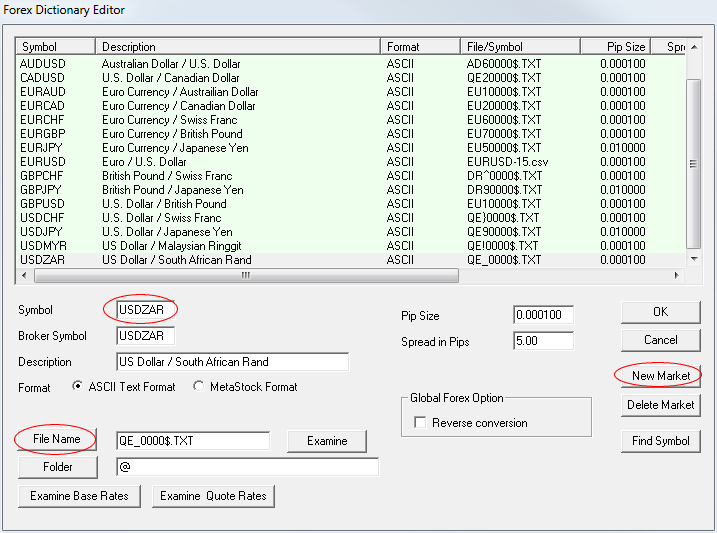 If you are adding the South African Rand, for instance, the symbol would be “QE_”. 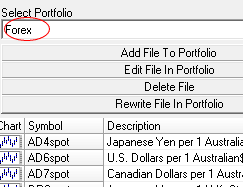 Use the Add File to Portfolio button to add the symbol QE_ to the Forex portfolio. 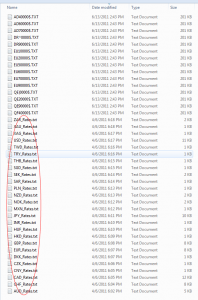 When it asks to build the files, say yes. 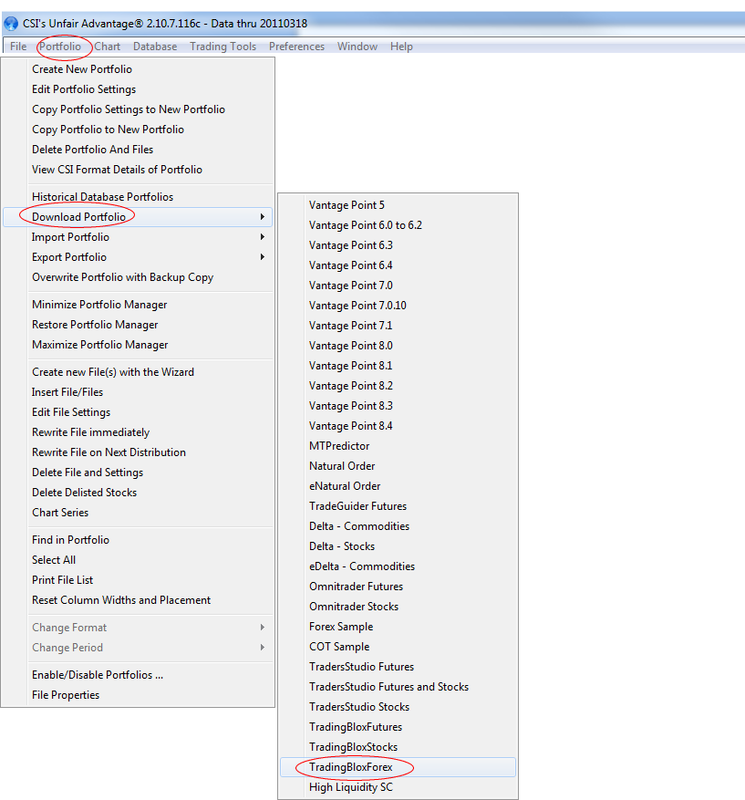 In Trading Blox, use the Forex Dictionary to add this new market. Press the New Market button to create a blank market. Enter the Symbol of USDZAR. 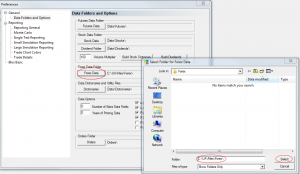 Press the File Name button and select the QE_0000$.TXT file using the windows explorer browser.